I almost tripped and fell backward over my pallet for totes... whew.... that could have been bad... I could have broken a leg! Here's what I just shot and I'll shoot one more tomorrow after I have all the pads, towels and chemicals staged. There simply is NO other class like an Autogeek Roadshow Class! If the video looks a little shaky... apologies... I have an artificial leg and I simply don't walk perfect... let alone smooth. Boy that was a lot of machines...hope you have that pallet insured. That was scary when you backed into it. Not done staging yet - I still have to refill a lot of bottles like compounds, polishes, paint prep, waterless washes, clay lubes etc. Think about it - all these liquids get used up. I put orders in for bulk product and then pour off to the smaller bottles. Takes a lot of time, especially the compounds as they tend to be thick and do not pour fast or easy. It would be faster to just order fresh 16 ounce bottles but I try to be a good steward of the companies resources. 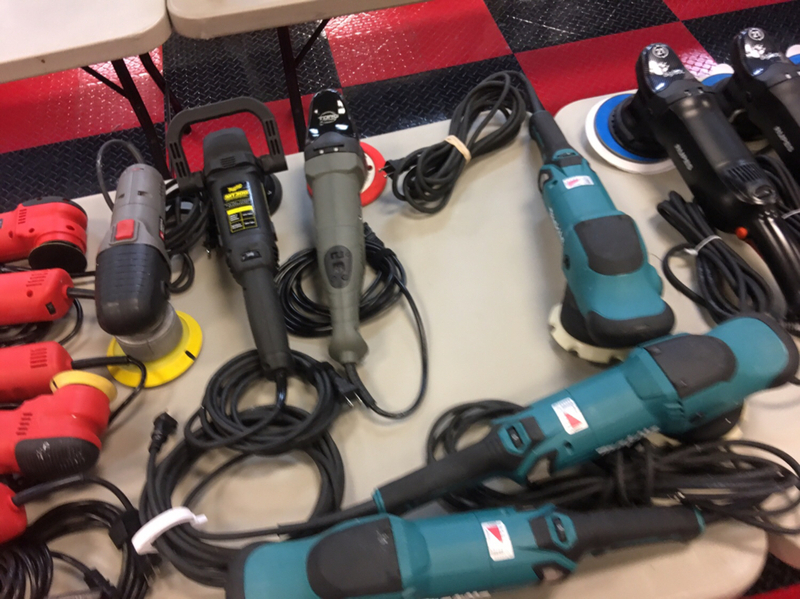 In our classes - if we’re using an iron remover when washing cars - EVERYONE gets their own bottle IN THEIR HAND - this is how our hands-on classes roll. 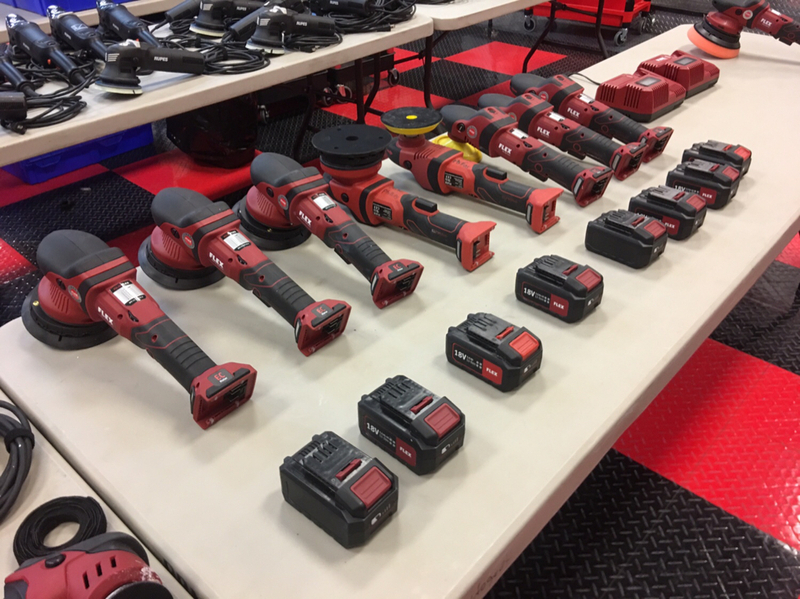 Ive seen other classes - your either sitting in chairs looking at a power point presentation or WATCHING the instructor use the products and tools. That’s not a class to me - that’s a seminar. 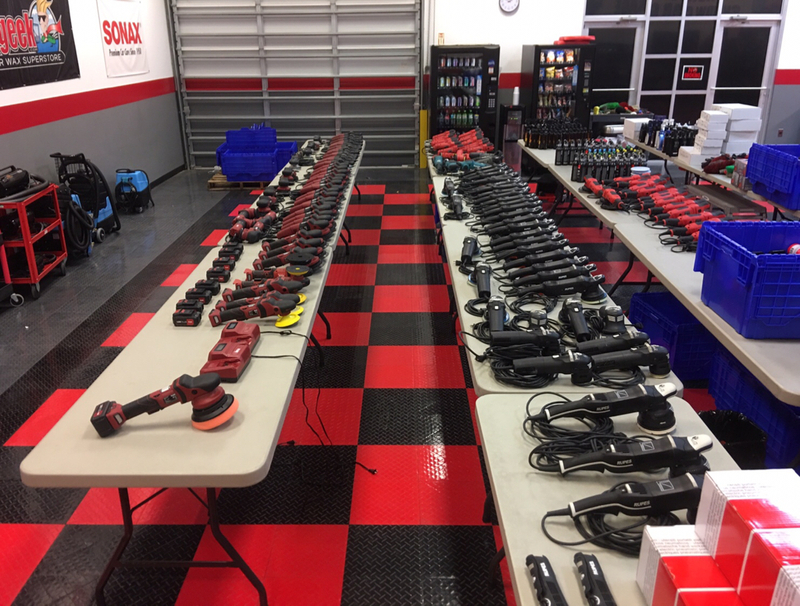 Here’s some quick pictures I took before leaving for the night... You don’t and won’t see this volume of tools made available at any other class. Mike, your enthusiasm is infectious! Thank you, my friend, for being genuinely inspirational. 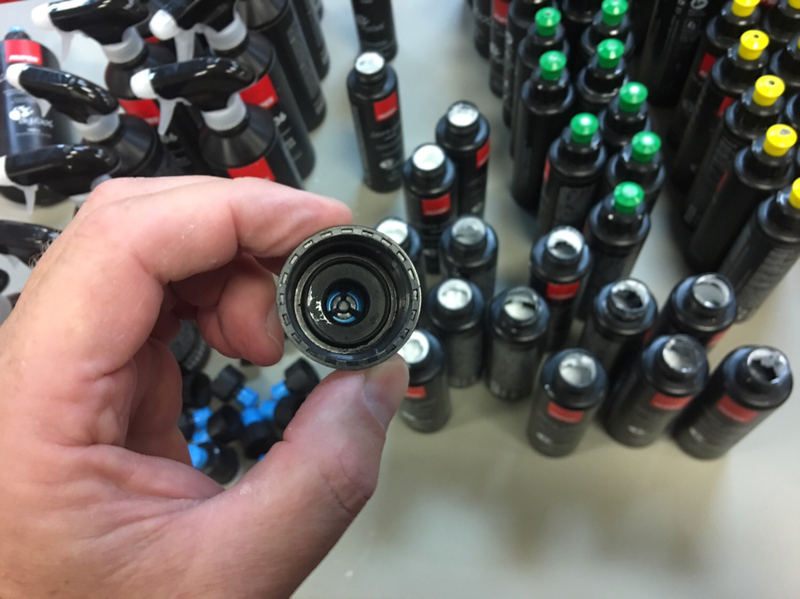 Part of refilling bottles is also cleaning caps. 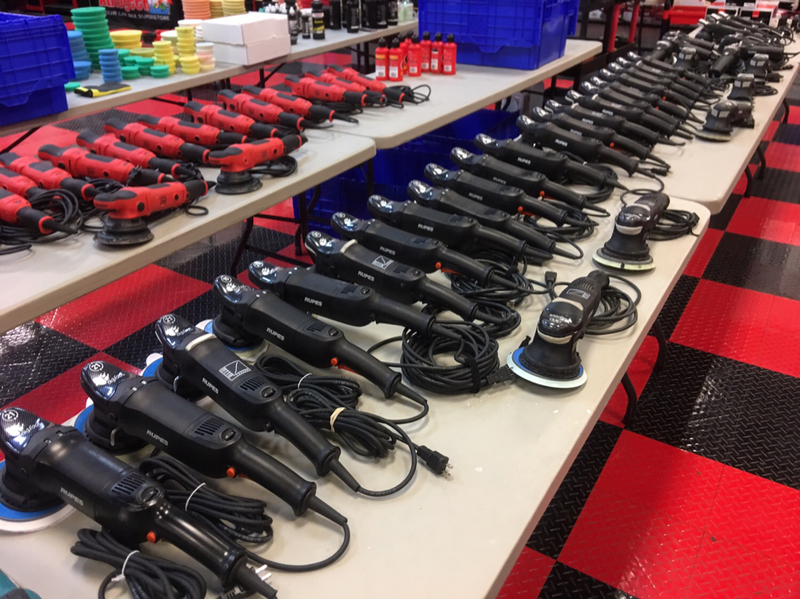 The RUPES Zephyr Gloss Compound caps get clogged easy. So that my students have a great experience (and it’s easy to get the Compound out) I remove all the caps and hand wash them followed by blowing them out with compressed air. Man, you need a helper, Mike! I guess you trained them all too well and they went off to greener pastures. I had a couple of gals from packing helping me today, they kept me from working until midnight tonight. Just about done - I have 9 totes filled and sealed. I think 2 more totes of just buffing pads and I'm done. Packed and stacked for Atlanta! Live Feed on Facebook this Friday! Chat Live with Bruno on Facebook right now!